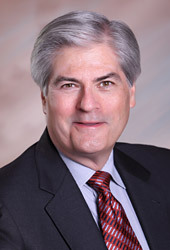 Paul Marcela is President & Managing Director of Governance Partners Group, LLC (“GPG”), a corporate governance services firm that specializes in providing external Corporate Secretary and related corporate governance services to companies and other organizations that seek to outsource all or a portion of their Office of the Corporate Secretary operations. GPG provides services in the categories of Board and Committee support, executive and financial management interface, legal entity governance management and corporate governance program and process development and enhancement. Its client profile includes stand-alone corporations, private equity portfolio companies, venture capital and emerging growth companies, subsidiaries of large corporations, colleges and universities and health care institutions. GPG focuses on providing governance services to small to mid-cap public companies, private companies and not-for-profit organizations that have a need for good corporate governance but may not have sufficient internal resources to practice good governance in a robust manner. Paul has been Vice President, General Counsel & Secretary of North American Bus Industries, Inc., a manufacturer of transit buses (“NABI”), between 2011 and 2015. He also served as Vice President, General Counsel & Secretary of Blue Bird Corporation, a manufacturer of school buses, between 2009 and 2011. Previously, Paul was Associate General Counsel & Assistant Secretary of Dow Corning Corporation, a $6 billion global specialty chemical company equally owned by The Dow Chemical Company and Corning, Incorporated. He joined Dow Corning in 1985. Paul’s primary legal practice areas are corporate governance, securities, mergers & acquisitions, corporate financial transactions and litigation management. Paul serves the Society of Corporate Secretaries and Governance Professionals as Chair of the Society’s Private Companies Committee. He served on the Society’s National Board of Directors between 2009 and 2013 and has been a member of the Advisory Council of the Southeast Chapter of the Society since 2010. He previously served as President of the Society’s Detroit Chapter. Paul has served the legal profession in various professional organization capacities. Paul has served the Georgia Chapter of the Association of Corporate Counsel as Vice President for Programs and Sponsorships and Vice President for Special Programs. He previously served as President of the Michigan Chapter of organization. Paul has also served his profession as Chair of the In house Counsel Committee of the State Bar of Michigan Business Law Section and President of the Midland County (MI) Bar Association. Paul is also a member of the Board of Directors of the Alumni Association of Case Western Reserve University and a Past President of the Case Western Reserve University Law School Alumni Association. In addition, he is the Immediate Past Chair of the Allegheny College Managerial Economics Program Board of Visitors and serves on the Oglethorpe University President’s Advisory Council. Copyright © 2007-2018 by Business Growth Alliance, LLC. All Rights Reserved.